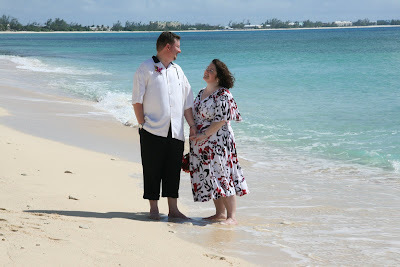 Every year I get dozens of requests for a barefoot beach wedding. 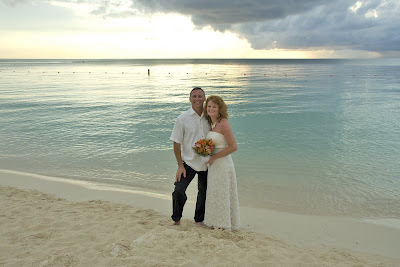 By far the most popular request is the beach at sunset. 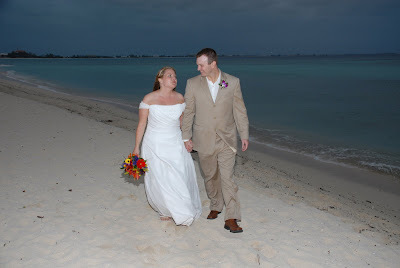 My choice for a sunset wedding would always be Seven Mile Beach, followed by the beach in the Rum Point, Cayman Kai area. 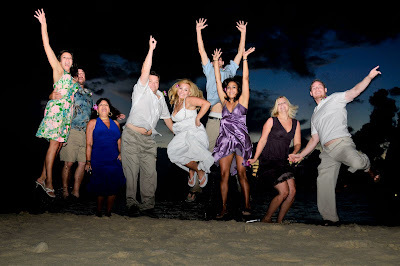 This wedding took place on the beach next to the Marriott Courtyard's Gecko Bar. This is a very popular spot, and is usually quiet, Blue Water Beach, West Bay, the most northerly tip of world-famous Seven Mile Beach. 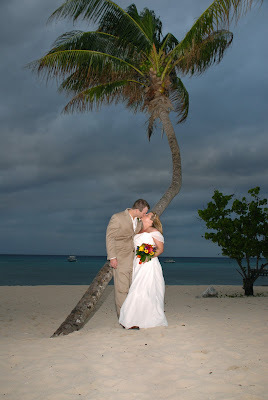 Couples love the idea of coconut palms in their wedding pictures. The near by cabana provides welcome shade on hot summer days. The beach near the Governor's House is wide, clean and beautiful, as is the water. This is really how it looks. This shot was taken in the morning around 10am at Bus Stop 29. At the end of the day, the beach is deserted. 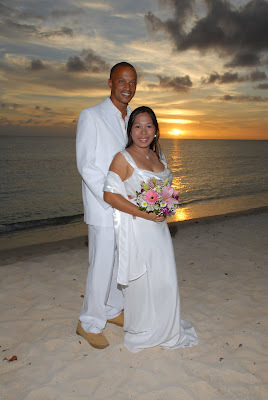 Always popular, Smith's Cove in George Town near the harbour is great especially for cruise weddings.